Oslo’s Centre for Studies of Holocaust and Religious Minorities (Senter for studier av Holocaust og livssynsminoriteter, or HL–Senteret) has been allocated the funding, equivalent to around USD 3.3 million, in the revised state budget. It originally applied for the more modest sum of NOK 5 million (USD 860,000), to be awarded over four years, but has been awarded NOK 20 million as a lump sum, newspaper Aftenposten reported recently. 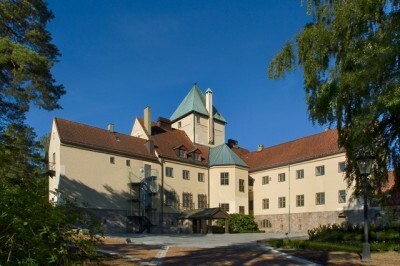 The HL Center has been housed, since 2005, in “Villa Grande,” a mansion taken over to be the Oslo residence of Nazi collaborator Vidkun Quisling during World War II. The center is located on the Bygdøy peninsula in Oslo. The center’s director Guri Hjeltnes described the funding as “exceptional” and said that the museum will modernize its Holocaust exhibition, making it more interactive. A new single-story building will also be built to house an exhibition on minorities, and the bunker built by Quisling during World War II, which lies four metres underground, will be developed to house exhibitions. The bunker will also have a new underground entrance and lift, connecting it to the other two exhibitions, and making it easier for large groups of school children, among others, to go around the museum. Around 200 school children currently visit the center every week. Education Minister Kristin Halvorsen visited the center last month and told Aftenposten that “when we see the attitudes after the July 22 terrorist attacks, we cannot vaccinate ourselves strongly enough.” She described a school class that she met on her last visit to the center, as “pretty blank about the Holocaust” and said that there was so much that they needed to learn so that history would not repeat itself. Halvorsen of the Socialist Left Party (Sosialist Venstre or SV) has been criticized herself because of her party’s support for the Palestinians and boycotts of Israeli products. She has previously funded courses on tackling anti-Semitism in schools. The new funding comes at a time when Norway is striving to overcome accusations of intolerance, and politicians are debating how the country should be handling the problems posed by migrant beggars. Many of the migrants are Roma folk, one of the most discriminated minorities in Europe. The HL Center contributes new research, arranges education and information activities, and holds exhibitions and conferences on the holocaust and on genocide, as well as the conditions for minorities in today’s society. It has previously conducted research on anti-Semitism in Norway. A total of 771 Norwegian Jews were deported during the war years, from the time of the German invasion on April 9, 1940 until liberation in May 1945. Only 34 returned to Norway. Last year Norway’s director of the state police made an official apology for the police role in the deportations.